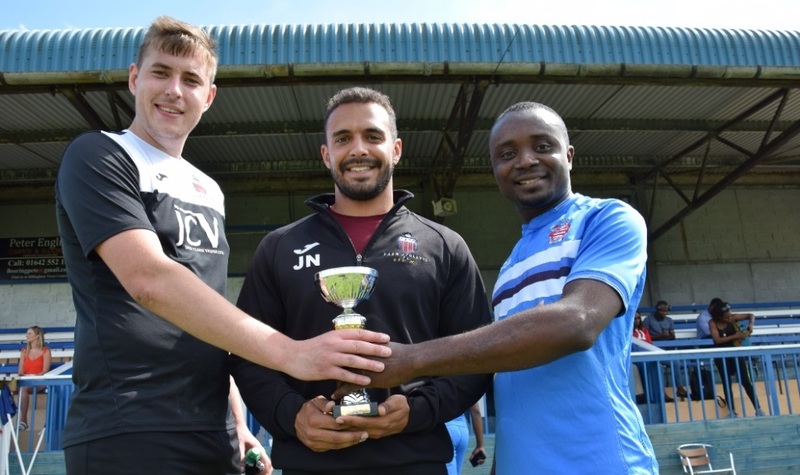 TTE kept World Cup Fever alive with a special international football match between technicians from Nigeria LNG Ltd (NLNG) and Teesside-based Yarm Athletic FC. Held at Billingham Town FC, the inaugural international ended in a 4-0 victory for Yarm Athletic, who play in the Stockton Sunday League. The afternoon was completed by a penalty shoot-out, which was won by NLNG 5-2. The match was organised by TTE recruiter Josh Naqui, who is also the coach of the Sunday league team, as part of the continuing relationship between the Middlesbrough-based technical training organisation and the Nigerian company. The NLNG team are among a group of technicians currently taking part in a six-month residential training programme at TTE where they are gaining a range of skills and competencies before being deployed to the company’s facilities in Nigeria.